LaGuardia Airport located in the city of New York is being redeveloped to provide world-class facilities. Credit: LaGuardia Airport. The Central Terminal Building (CTB) redevelopment project includes the demolition of the existing CTB, Parking lot 2, four concourses and three hangars. Credit: Matt P.
The Runway 4-22 at LaGuardia Airport is being improved and modernised under a $54.4m runway improvement project. Credit: Kristoferb. 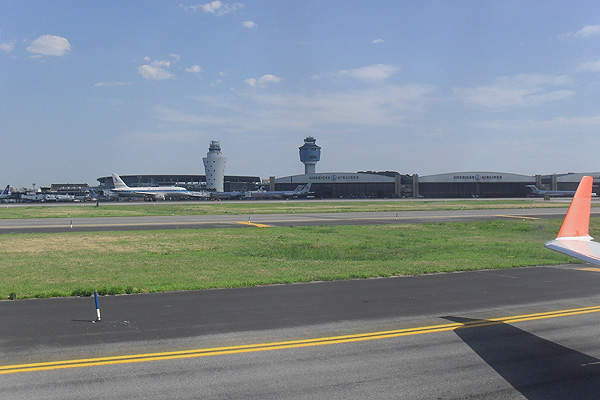 LaGuardia International Airport in New York, US, is currently undergoing the LGA Redevelopment Programme to provide world-class airport facilities for passengers and airlines. The LGA Redevelopment Programme is divided into two major subprojects, the Central Terminal Building (CTB) Redevelopment Project and the East End Substation & East Garage project. The redevelopment and modernisation is being carried out to facilitate the forecasted passenger growth at the Central terminal building (Terminal B). The airport is expected to handle 34 million annual passengers by 2030, of which 17.5 million will use the CTB. Terminals C and D are also being improved by Delta Air Lines to facilitate the increasing numbers of passengers. The airport currently features four main terminals: A, B, C and D. Terminal A is also known as the Marine Air Terminal. Terminal B, also known as Central Terminal Building (CTB) opened in April 1964. It was modernised and expanded in 1990s. It has approximately 835,000ft² of floor space. The CTB redevelopment project includes the demolition of the existing CTB and associated infrastructure such as CTB Parking Garage (Parking lot 2), four concourses (A, B, C and D), Hangars 1, 2 and 4, and frontage roads. A new terminal building will be built in place of the demolished CTB. The project also includes construction of a central heating and refrigeration plant (CHRP), a new aeronautical ramp, a hydrant fuelling system, and certain temporary facilities at the airport. The new CTB will cover an area of 1.3 million square feet. It will feature 38 aircraft gates, 214 check-in counters and kiosks, baggage handling systems with a centralised in-line, a baggage screening facility, and 1,620ft of baggage claim device presentation frontage. It will also feature two passenger security screening check-points (SSCP) with a total of 22 lanes, and other passenger amenities. The new CTB is expected to be fully completed by 2019. It will be designed to achieve Leadership in Energy & Environmental Design (LEED) Silver certification from the US Green Building Council. 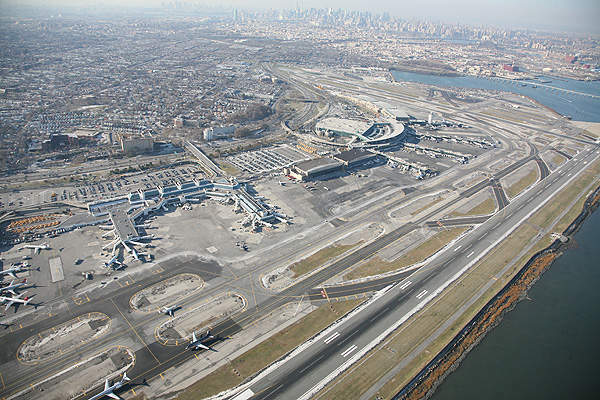 The Port Authority of New York and New Jersey (PANYNJ), which owns and operates the airport, shortlisted four consortiums for the CTB project in August 2013. The shortlisted consortiums are Aerostar New York Holdings, LaGuardia Gateway Partners, LGAlliance and LGA Central Terminal Consortium. LaGuardia Gateway Partners was awarded the contract to design, build, finance, operate and maintain the CTB under a 35-year lease agreement. 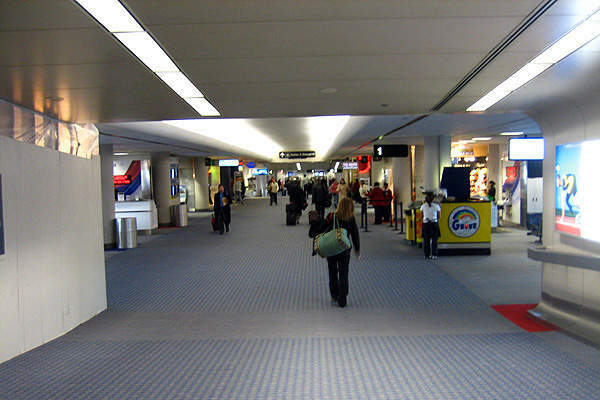 The airport features two runways, each 7,000ft-long and 150ft-wide. Runway 4-22 is being improved and modernised under a $54.4m runway improvement project. The modernisation will involve the milling and asphalt concrete overlay of the runway. The project also includes upgradation and modernisation of the runway safety zones. It is expected to be completed by 2021. The runway improvement project will enable the airport to meet the US Federal Aviation Administration’s (FAA) current runway requirements by 2021. The redevelopment project includes the construction of two car parks, East and West. The East Parking Garage is located on the east side of the New CTB and south of the Terminal C. It replaced the parking lot P4. It provides parking space for around 1,100 vehicles and serves Terminal C.
The West Garage will be located on south side of Hangars 3 and 5, and to the west of the New CTB. It will serve the new CTB. It will replace the P1 parking lot and will provide parking space for 2,800 vehicles. Construction of the east parking garage began by the end of 2013 and was completed by September 2015. A new East End Substation (EES) was constructed at the airport as a part of the LGA redevelopment project. The station serves the passengers of the new CTB and Terminals C and D.
A new collector-distributor loop roadway is also being built at the southern side of the airport with a $57.5m investment. The road will reduce the number of vehicles that cross the airport’s runway. It is expected to be completed by 2017. The PANYNJ authority is investing $2.4bn in the CTB redevelopment project and about $190m on the East Parking Garage and East End Substation project. The East Parking Garage involved an investment of $82.9m. The funds required for the redevelopment are being provided by PANYNJ. Designed to tackle tomorrow's aviation security challenges today, Morpho's seamless solutions integrate identity management, document verification and threat detection systems to deliver improved security, operational efficiency and passenger convenience to the global aviation industry.